Sri Soumya Ranjan Patnaik has given Orissa a great gift in form of an encyclopedia of Orissa’s letters and creativity, captioned Sahityakosha, which was released on January 3 with Prof. Indra Nath Choudhuri delivering the first J.B.Patnaik Memorial Lecture. Regretting how “the modern political culture destabilizes (the people’s) unity and fragments and dehumanizes the individual and forces him to rely heavily on the coercive institution of the State ruled by some political party”, Prof. Choudhuri recalled J.B., who had “expanded” his pro-people aptitude in journalism to his role as a political leader of eminence. “I was not a journalist only; I was a journalist-politician”, JB had told Wasbir Hussain at Guwahati on 5 May 2010 on News Live, Northeast India’s largest satellite channel. “I developed strong feelings against casteism, communalism, untouchability and exploitation of the poor by the rich zamindars and greedy capitalists. These feelings got reflected on the pages of the newspapers (I edited). I took upon myself the duty of fighting for the interest of the country’s poor and genuine interests of Odisha. In the papers that I edited, the plight of the people who suffered due to droughts and floods were highlighted and the absence of governmental help at these places were duly reported. In my editorials, I tried to be as fearless, unequivocal and critical as possible”(Some words, some dreams, Janaki Ballav Patnaik, jointly edited by Hussain and Soumya Ranjan Patnaik), Prof. Choudhuri quoted. Subject of the Memorial Lecture was “The Crisis in Nationalism:A search for resolution in Tagore and Gandhi” and hence, of course, Prof. Choudhuri had to limit his reference to JB to the ideals of both Tagore and Gandhi in socio-spiritual and religio-societal sphere. Therefore in his speech, there was no mention of how deeply Sri Patnaik had been involved with the mission of making Oriya the Official Language of Orissa. It is JB who had tried to enforce implementation of the Act of 1954 in right earnest. 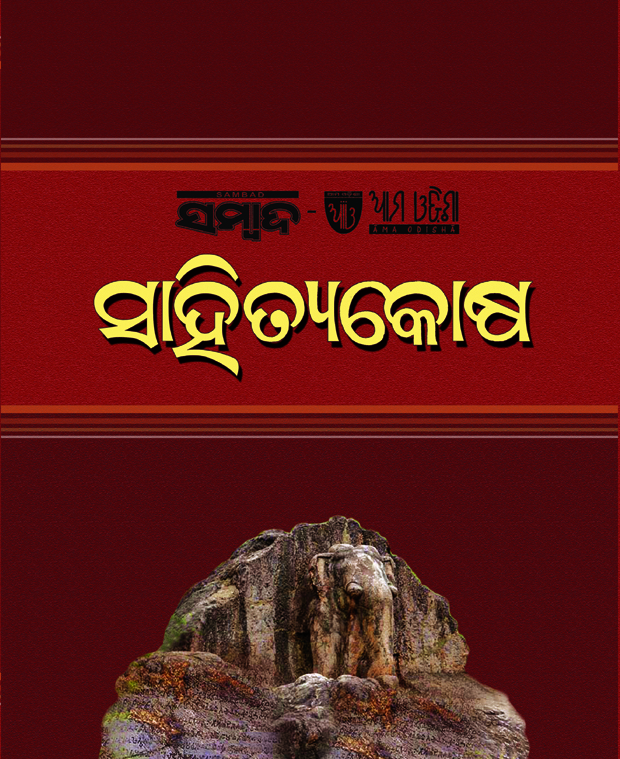 Therefore, befitting his memory, on the occasion of the first Memorial Lecture on him, Sambad and Ama Odisha, headed by Soumya Ranjan, have brought out the first of its kind Encyclopedia of Oriya literature that not only is a Who is Who of Oriya authors, but also is a matchless reference book on all important components of Oriya mana depicted in Oriya literature, which include Religion, Philosophy, History, Social Science, Humanism, Economy as well as various aspects of Oriya literature including its history and its contributions to knowledge and science. It not only discusses persons, but also deals with noteworthy subjects and phenomena focused in Oriya literature to which the general public of Orissa frequent in their day to day activities. As many as 120 eminent scholars have contributed around 3,500 in-depth input to this unique starting encyclopedia, which covers authors, artists, scientists and scholars and the likes of Orissa born before 1960, with references to their works. Obviously the next volume shall begin with the enhancers of Oriya mana born after 1960. A team of five eminent scholars namely Dasarathi Das, Sudarshan Acharya, Gaganendra Nath Das, Debendra Kumar Dash, and Gouranga Charan Dash have edited and compiled the contents, though, due to failing health, Prof. Gaganendra Nath Das had to leave the assignment midway. In Orissa’s world of letters, Sahityakosha shall stay the most referable work from now on, no doubt.